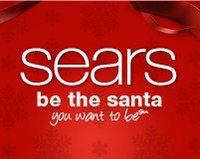 Get $10.00 off when you spend $50.00 or more in Apparel and Accessories at Sears. Coupon Valid at Sears Stores and on sears.com (Use Coupon Code: INSTANT). Get FREE Shipping when you spend $49.00 or more on apparel and accessories.